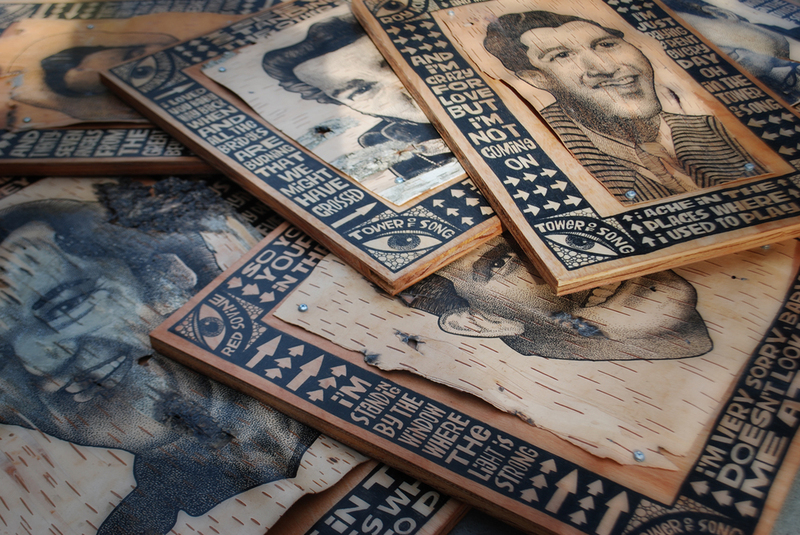 These portraits of honky tonk heroes were drawn on birchbark that was gathered in the northern woods of Michigan's upper and lower peninsulas. The birchbark was then mounted to plywood and framed with the lyrics of Leonard Cohen's Tower of Song. They will be for sale and on display at the Antieau Gallery in New Orleans.